Further information about the conference center (access, etc). Buses schedules can be found here and here. CAV09 will be held in Europole, a major congress center in Grenoble. Europole is located near the Grenoble train station. 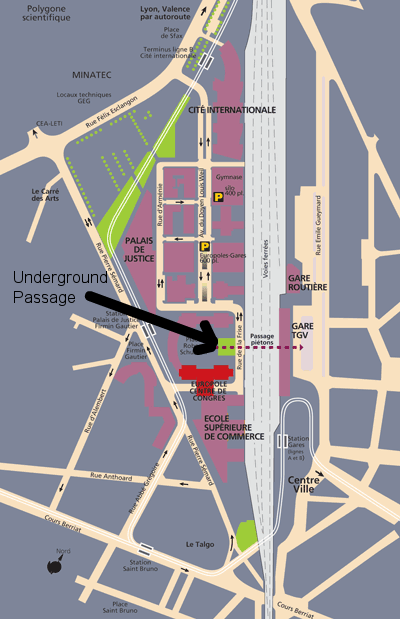 It's possible to cross the train station directly, via an underground passage way (see map). If you are coming from further away, simply take the tram line "B" to the "Palais de Justice" stop. The full tramway map is here.